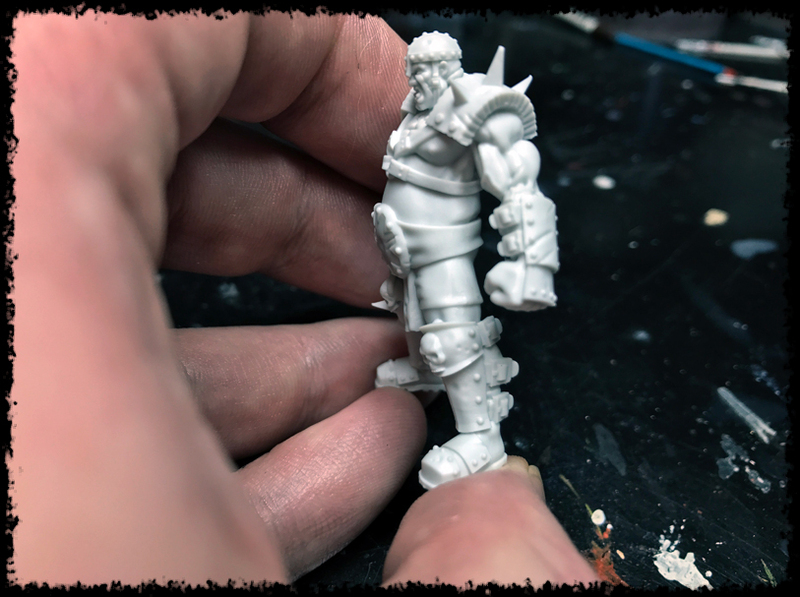 I needed an Ogre miniature for my Human Blood Bowl team, and I did a lot of searching. I started on eBay figuring I’d convert a WHFB Ogre Age of Sigmar Ogre, but I didn’t have much luck. Oh, I could find them, but they were either painted – requiring stripping, or just too much money. So, I then took to checking out third-party Ogre miniatures for Blood Bowl. 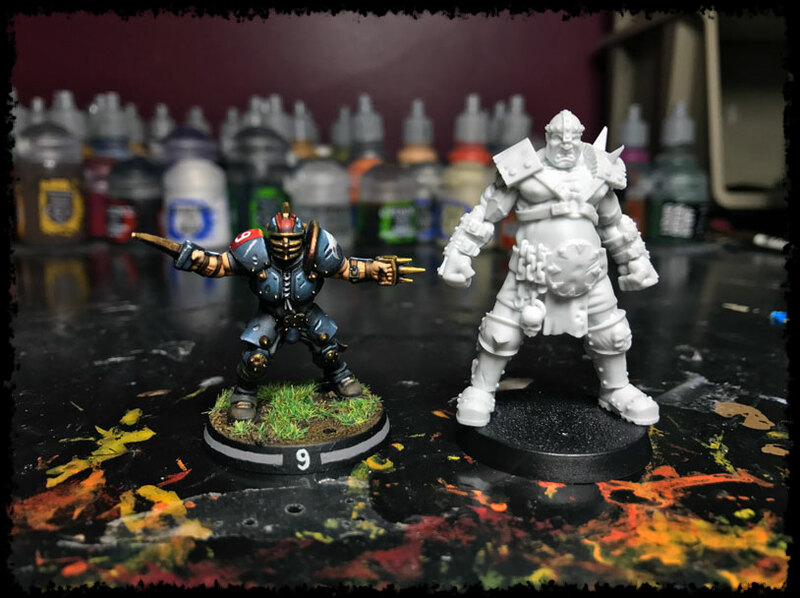 Since Games Workshop had abandoned the game for a very long time, many people stepped up to fill the gap by creating their own versions of Blood Bowl models. I must have gone through a list of 20 third-party places. Some were long-dead sites, and others just weren’t creating the quality model I was after. Then I stumbled upon Hungry Troll. 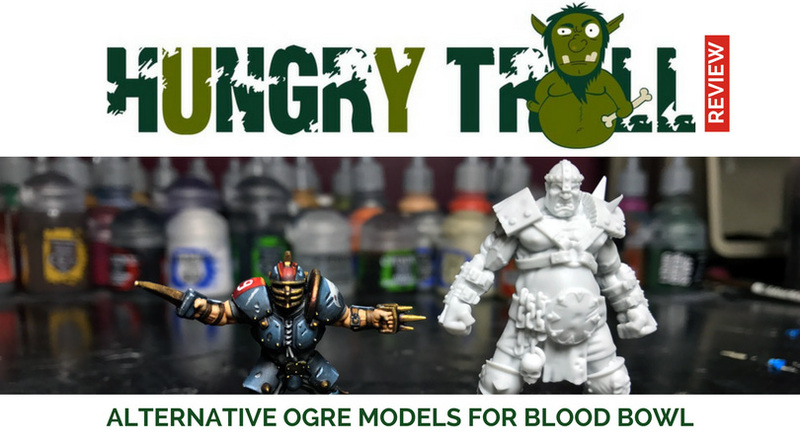 I looked through the Ogres models that Hungry Troll has and was immediately impressed. The sculpting was great, and the quality of the models looked great as well. Then I noticed they had them in resin and I was sold. 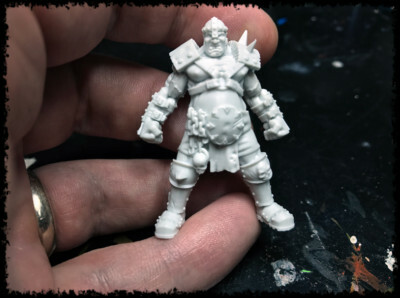 I put the Ogre miniature I wanted into the cart and proceeded to checkout. The model was €16 ($17.50), which was fine with me since I only needed one. I got to shipping and stopped. Hungry Troll is in Spain, so the shipping to the US was €15, giving a total cost of $33.24. Ouch! I really wanted the model though, so on a whim I contacted Juan at Hungry Troll. I emailed him asking that if I did a product review on the blog, would he give me a discount. I’ve never reached out like that to a company, so I expected either no response or a polite decline. On the contrary, Juan responded back and said if I did a painting tutorial for the Ogre miniature that he would send me the product for free. Deal! The painting tutorial is in progress, but I still wanted to do a product review of the Ogre model. When the package arrived, I immediately opened it like a kid as Christmas. Much to my surprise, it included not only the Ogre miniature, but some extra goodies as well. I’ll probably cover the goodies in more detail later, but pictured are also 3 Snotlings, and a Christmas Dwarf – he has a hat and everything. I looked over and model and was pretty amazed. The sculpting is just awesome. I’ve seen a lot of third-party sculpts, and while they are better at sculpting than I am, seldom do I see any I’d pay the money they are asking for them. This Ogre, however, is worth every dollar. The resin is great. It’s not like the resin Forge World uses. This resin is smoother and cleaner. I find Forge World resin to be a bit course, and on the brittle side. The resin Hungry Troll uses is nothing like that. I’d have thought the model was plastic if I didn’t know any better. There was virtually no flashing on the model at all, unlike anything Forge World does that I’ve seen. The mold lines were very minimal and extremely easy to clean up. 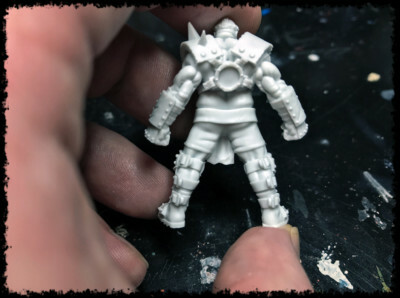 Again, a rarity with Forge World resin. One thing I was concerned with was the size. I thought it might be on the small side. 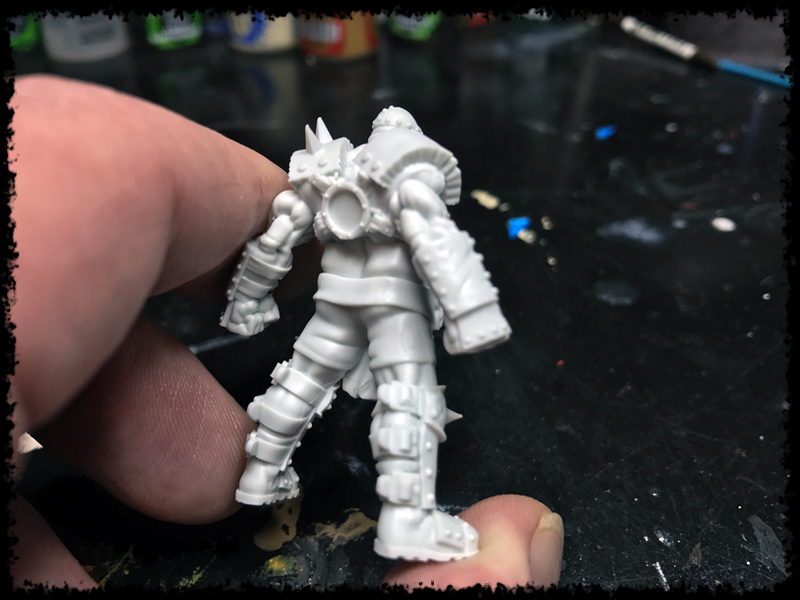 Blood Bowl miniatures got a little bigger in this edition. So, I thought the Ogre might be more on the scale of previous editions. However, I was pleasantly surprised to see it’s the perfect size. Honestly, the only downside with everything was the base that came with it. The base is 25mm, and Blood Bowl is now using 32mm. It wasn’t a big deal though. I have extra 32mm bases. If the base that comes included with a product is the only downside, I can live with that. I look at the bases as a freebie anyway. If it’s not obvious, I’m thoroughly impressed with this Ogre model. The cost is reasonable, and the quality is amazing. I would highly recommend using Hungry Troll Ogres for Blood Bowl. Don’t even look at another site, you won’t find quality like this elsewhere. I have also done an Ogre painting tutorial if you’re interested. This model is of an amazing quality, and the sculpting is incredible. There’s a lot of great detail. I’d highly recommend this Ogre for your Blood Bowl needs. Love that you got some little extras. I always find that makes my day. Opening a package and there is something you didn’t expect in there! For sure. I was really happy to see the Snotlings. I plan to start an Ogre team at some point and I’ll need a ton of them. Definitely looks like a great model. It’s not a company I’m familiar with but then I haven’t looked for BB models for many years but at least back then, there were quite many companies that made fantasy football stuff. Still quite a few around making BB models, I just wasn’t impressed with them. I take that back, there was another company who had some nice Ogres, but they were about $5 more per-model, and it wasn’t worth $5 more than the Hungry Troll ones. That is a good looking model. How was the shipping times? Some nice pieces on there sight. Hmmm. I’m not sure on the shipping actually. Being that he was giving it to me, I don’t know when it shipped out, just that I got it. Yeah, they’ve got some cool stuff for sure. haha! I almost forgot about those guys. Awesome Thor! I’ll be checking them out for sure. It’s great when companies realize the value of working with bloggers to get the word out. Thanks for posting this. Oddly enough, it would be about $10 cheaper for me to buy a Ogre straight from Hungry Troll over Sgt. 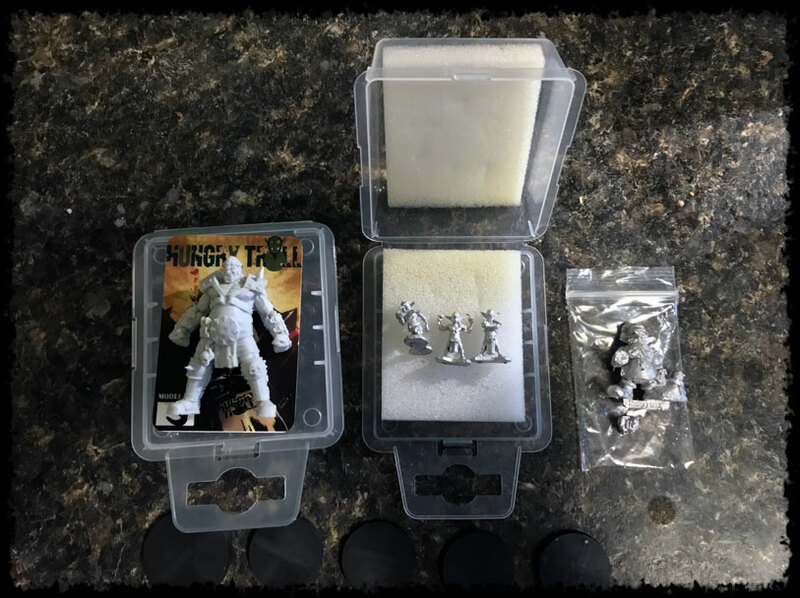 Miniatures (I live in Canada, so there is some currency conversion, but the shipping to Canada from Sgt. 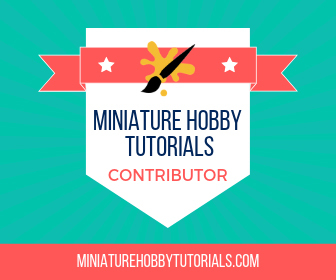 Miniatures was more than the model). I might have to keep on looking, as for that price I could buy a box of GW Ogres. It seems like you Canadians get screwed all around with currency, be it conversions, or simply shipping rates. It’s too bad.